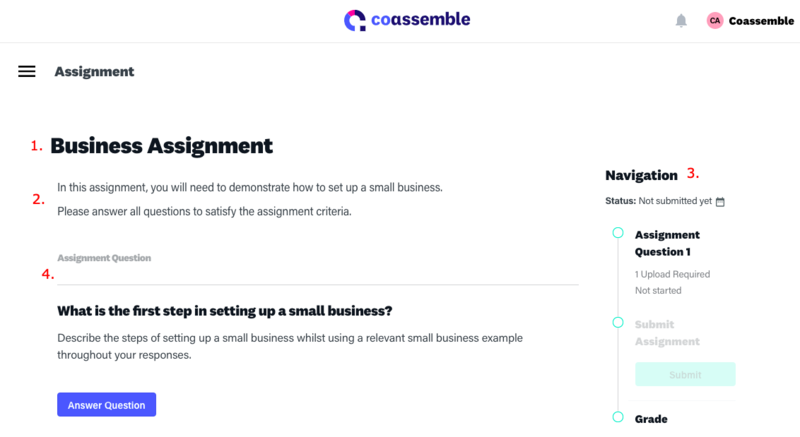 An assignment consists of a one or more questions that must be answered either by writing your answers directly into the built-in text editor, or by uploading a document. This will vary depending on the instruction given by your Facilitator. 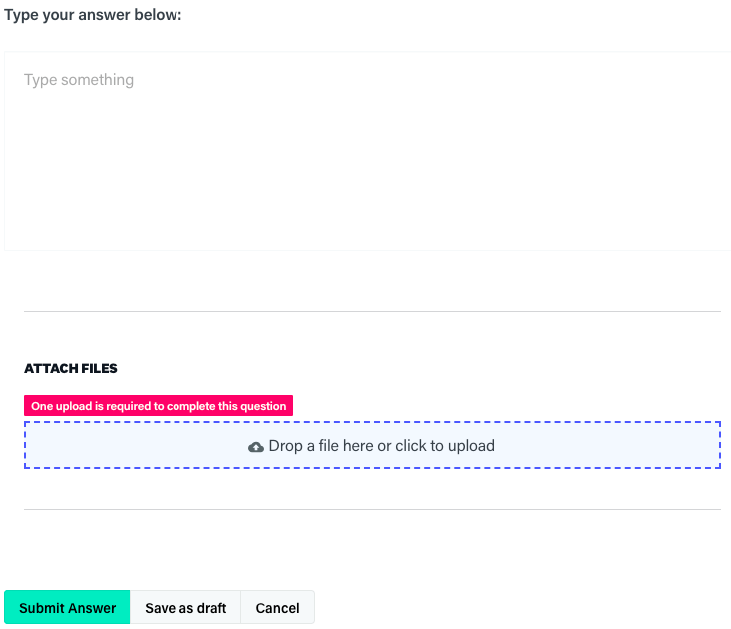 This will open up the answer panel where you can answer your question by using the built-in text editor. If you've been asked to upload files, you can do this by dragging a file onto the marquee area (Blue dotted box below). To save your answer as a draft, click the 'Save as draft' button. To submit your answer, you must click the 'Submit Answer' button. In order to submit your assignment, you must ensure that you've submitted all assignment questions first. You can tell the status of a question by looking at the navigation panel. If it's submitted it will be green and checked off. If it's a draft it will be yellow, and if you haven't attempted the question yet it will be grey. 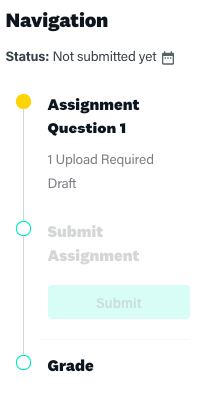 Once all of your questions have been submitted the submit assignment button will become active. 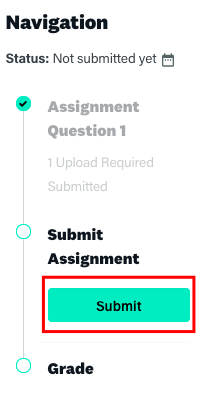 Once you're happy with all your answers, you can submit the assignment for marking by clicking the 'Submit' button. Your assignment will now be available for your Facilitator to mark. Please note that edits are not allowed after your assignment has been graded. You will be asked to confirm this when submitting your assignment.